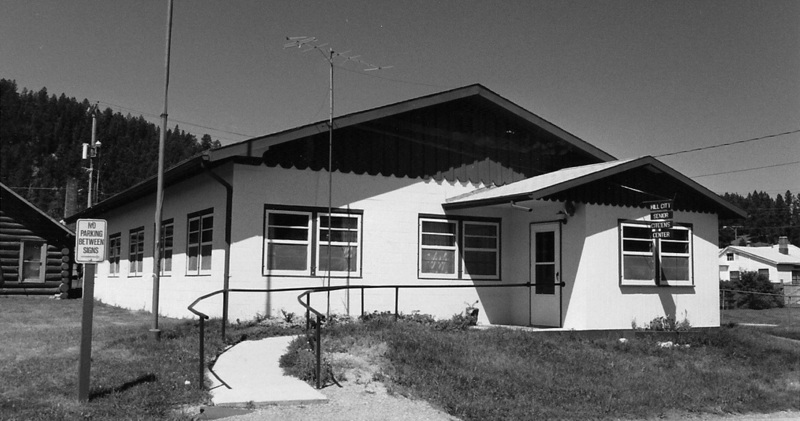 The Senior Center of Hill City was decided upon in November of 1972. Temporary officers were elected and an application was made to the Secretary of State for incorporation of by-laws as a non-profit organization. The organization wasted no time in securing the money needed and was ready to start construction in 1973. The ground breaking ceremony was held in July of 1973. Senior Citizens moved into the the new building December 1, 1973. A Title III Grant was obtained from the Office of Aging in Pierre providing 75/25 matching funds for equipment, furnishings and operations. Completed inside and out, the new Senior Center of Hill City held an open house in April, 1974. Later the City was given ownership of the building with the Senior Center organization paying "rent" of a dollar a year. The City takes care of the outside of the building and the Senior Center is responsible for all the repairs and improvements inside the building. The Center has continued to make improvements. In the1980's a storage room was added to the kitchen, a new entry way, as well as inside updates to help with the heating and acoustics. In 1999 they received a grant to continue building improvements which brought the building up to code in many areas. A new entry way and office space was added. The past and present board of directors and membership continue to update this facility for all to enjoy.